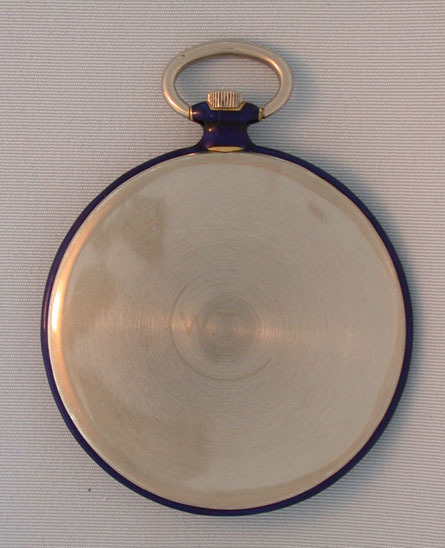 Platinum, gold and enamel slim Art Deco antique pocket watch by Verger, Paris, circa 1920. 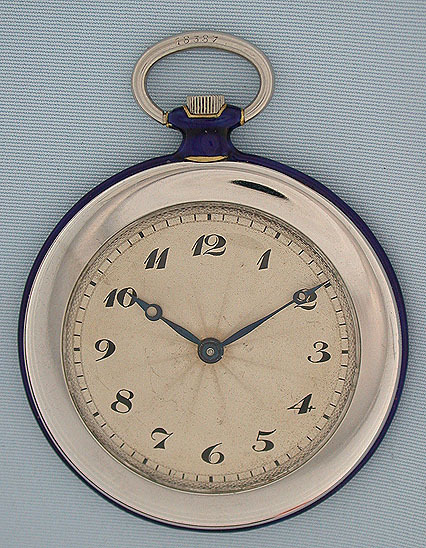 Silver engine turned dial with blued steel Breguet hands within a wide platinum bezel. Platinum back with slight discoloration and faint traces of filled monogram. The gold band and pendant enameled in dark blue. 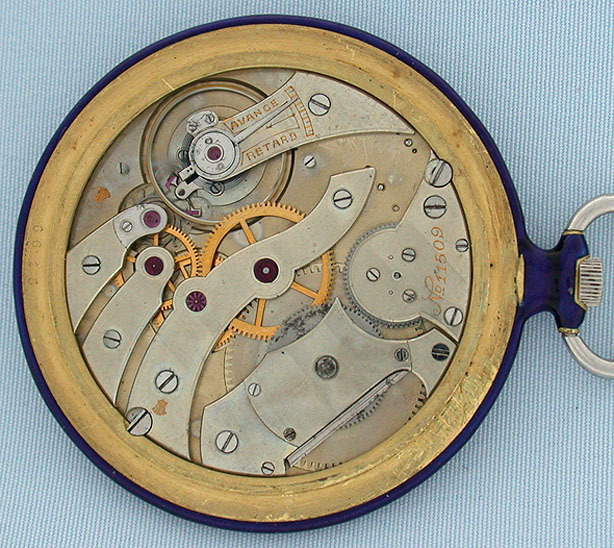 First quality 18 jewel movement with some oxidation on one of the winding wheel and two Geneva seals. Elegant.